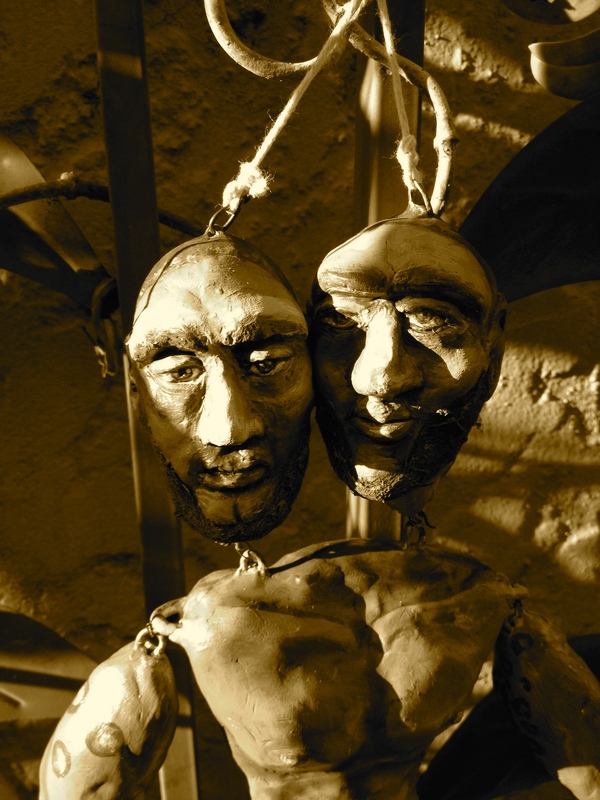 That said, as the sun begins to set, I’ve finished my Hero Twins marionette. Aesthetically I’m pleased but the puppet is far from limber, the poor fellows move about in the most wonky way imaginable. I need to figure out how best to string the Twins, plus I made some decisions that might have been less than ideal. The figure is perhaps OVER articulated , I need small metal rings to piece each limb together, hopefully it will move about more smoothly. I also need to learn how to use a marionette, again, tricky business. In the meantime, the Hero Twins. 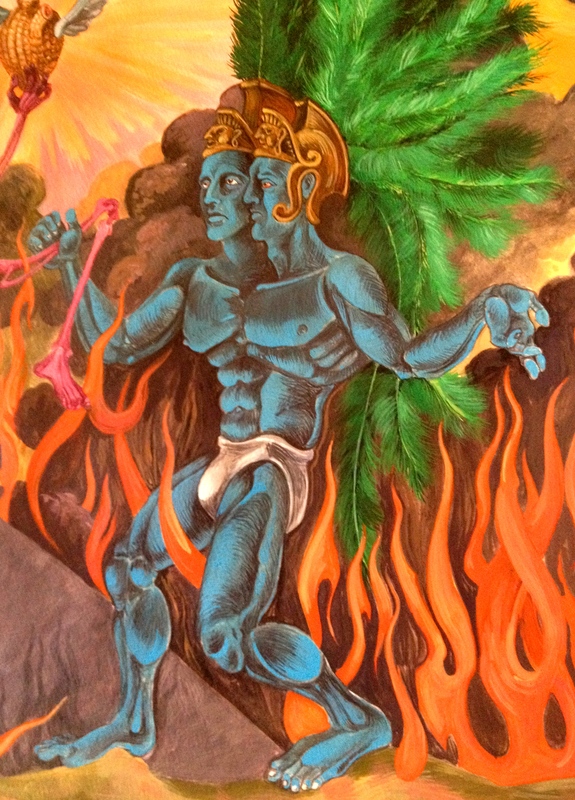 I’m pleased, they are in keeping with the spirit of my original inspiration, this detail from one of my watercolors. 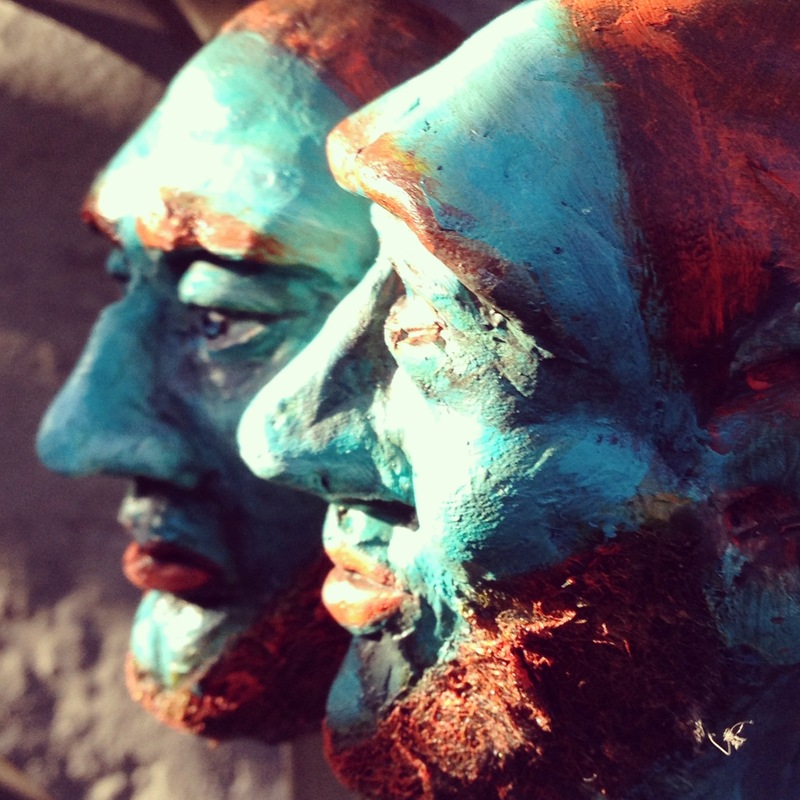 Plus I’m happy I used steel wool for the beards, with a bit of paint , it has an appealing texture. 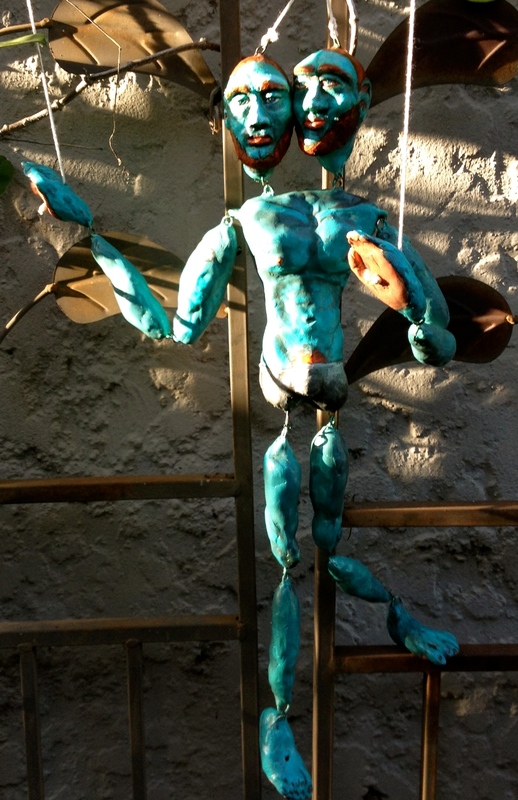 I did manage to string the marionette up but now I need to improve upon the mechanics of it all. So much of this project is just basic experimentation. I need lessons from this incredible woman! Until that time, will fumble along. oh, they are fantastic! the faces have excellent character, and of course i love the coloring. good luck figuring out the motion, i can’t even think that far ahead, haha. 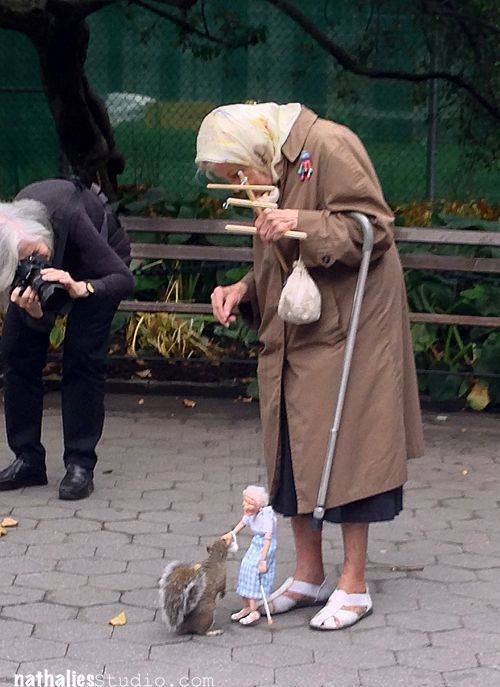 and that woman whose puppet feeds the squirrel! a miracle!